Immediate payment of AU $23.89 is required. Great transaction - super-fast delivery! THANK YOU VERY MUCH!!!!!! Super transaction with super-fast delivery! THANK YOU VERY MUCH!!!!! Excellent service - very quick delivery! THANK YOU VERY MUCH!!!!! Lorikeets love this natural food on the apples & feed their babies with it. 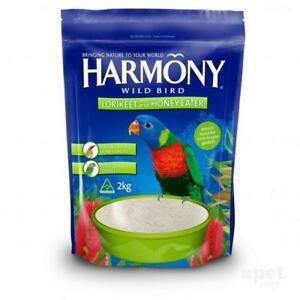 Harmony brings wild birds into your garden. This product is fantastic. I went from a garden with very few birds to now many. The colour of the native birds is quite amazing. This is a product that will always be in my cupboard.